Snap Fitness of FishHawk/Lithia is pleased to announce that Michael and Erin Messano are the new owners as of June. Snap Fitness gives its clients the tools, guidance, and support to reach their health and fitness goals along with 24 hours a day, seven days a week access to the gym. Summer boot camps for boys, girls and adults are now underway so be sure to call 341-7627 or visit the center at 15276 Fishhawk Blvd. in Lithia. Snap Fitness is also proud to participate in the 9-11 Heroes Run for the Travis Manion Foundation, which takes place on Saturday, September 12 at Randall Middle School. Visit Eventbrite.com to join the Snap Fitness team. Visit www.snapfitness.com/gyms/lithia-fl-33547/1400. Murray Strength – Krav Maga and Fitness has opened in Brandon and is a brand new member of the Greater Riverview Chamber of Commerce. Chamber members were on hand to conduct a ribbon cutting ceremony in June to mark this exciting occasion. Murray is an IKNF certified Krav Maga Self Defense Instructor and personal trainer. The mission at Murray Strength is to be the premier self-defense and strength training facility in Florida. It is located at 861 Lithia Pinecrest Rd. Call 540-1900 or visit www.BrandonKravMaga.com. 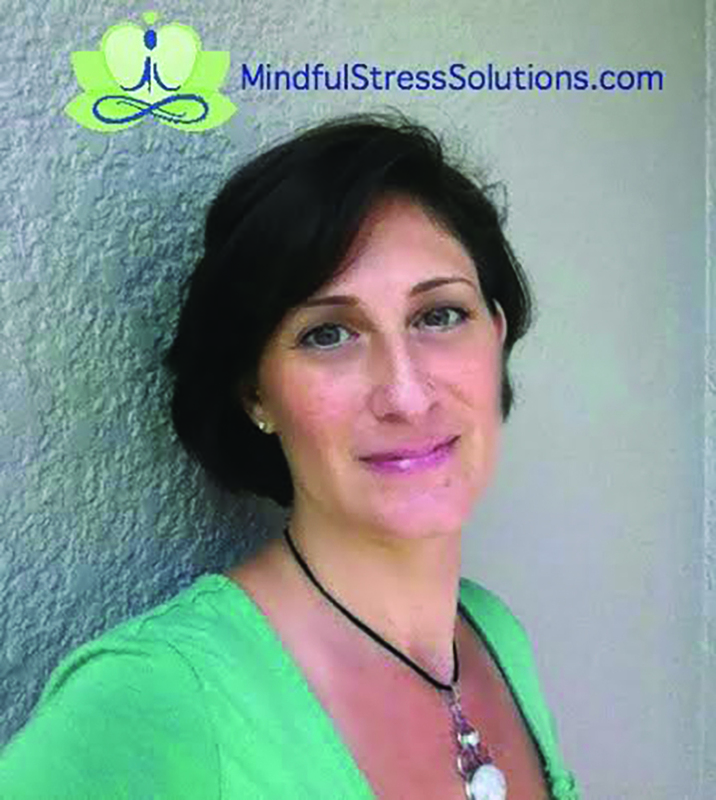 Dina Hansen, founder of Mindful Stress Solutions and author of the book, Stop Eating Your Stress, is offering free Self-Care Strategy Sessions this month. She said that most women tend to only focus on taking care of the needs of others, feeling like they need to do it all; putting their self-care low on the “to-do list” or leaving it off entirely. When this happens women become depleted and burn-out more easily, which results in a laundry list of physical ailments, over-eating, over-spending, a strain on relationships, a poor self-image and poor job performance just to name a few. However, when women learn how to make their self-care a priority they find balancing their unique needs with needs of others easier to do without burnout or feeling unappreciated. Visit MindfulStressSolutions.com or to schedule a free Self-Care Strategy Session call 415-3727. Rosecastle at Delaney Creek Assisted Living and Memory Care is under new management and ownership and recently celebrated with a grand opening and re-branding event. Free tours of Rosecastle’s new Memory Care wing featured the unveiling of its “life skills” stations geared toward seniors with varying stages of Alzheimer’s and dementia. Rosecastle at Delaney Creek is family-owned and operated by Trident Life Senior Care Services, LLC. Call 655-8858. Rosecastle at Delaney Creek is located at 320 South Lakewood Dr. in Brandon. Arc Termite & Pest Control, LLC is an honest and affordable family-owned and operated business. Owners Alan and Norma Campbell pride themselves on their flexibility and ability to address issues as soon as possible to serve its customers and keep them happy and satisfied. Services provided include monthly, bimonthly, quarterly and annual pest control, termite inspections and treatments. Both residential and commercial treatments are available. Visit www.arcpestcontrol.com or call 671-BUGS (2847) to make an appointment for a free estimate. The award-winning franchised My Gym Children’s Fitness Center will open its newest children’s gym in Brandon on Thursday, July 23. 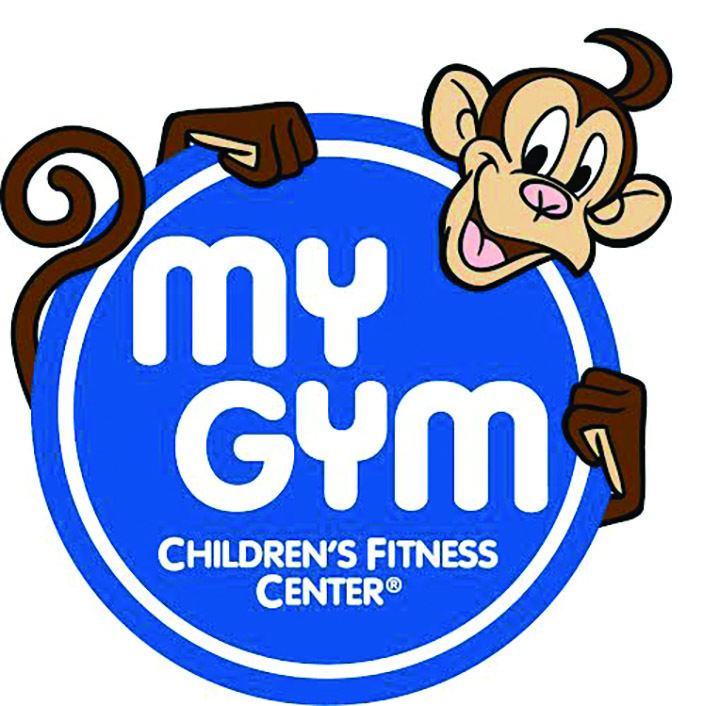 My Gym Children’s Fitness Center combines innovative physical early learning, pre-gymnastics classes with state-of-the-art facilities to empower children, ages 6 weeks through 10 years. The gym helps children develop the skills, confidence and positive self-image needed to become healthy young adults. Classes run 45 minutes for the younger ages and one hour for older children. On weekends, My Gym offers unique and exciting birthday parties, individually designed for each birthday child. My Gym Brandon is located at 2060 Badlands Dr. in Brandon and can be reached at 398-6713. Visit MyGym.com/Brandon. Residents of the Bridges Assisted Living Facility were treated to a game of miniature golf in June. This was an opportunity for residents to be active, social and a little competitive. In addition to the golf game, the assisted living residents stay active with a variety of activities such as, chair dancing, karaoke, art classes, corn hole, Wii bowling, mind games, “happy hours,” Bible study, and group outings to restaurants and shopping. A full calendar of activities can be found at www.Bridges Retirement.com. Mathnasium recently had a Club Radical – Family Game Night where students, family and community was invited. There were numerous games from a Connect 4 tournament to games such as UNO, SET, and more. Families enjoyed a snack, along with spending some family time learning new games and seeing how much fun math can be, along with supporting local food pantry ECHO with canned food donations. During the evening some of its students were recognized. Ryan Underwood won the “Best Score Yet” drawing. Julie Boettger was recognized for winning the drawing for the “Most 100%’s 2nd Semester” and had tied with Caitlin Brennan and Ana Lucia Perez. Finally, the “Brag Board” winner was Liam Brennan. Call 655-6284 or visit www.Mathnasium.com/ brandon. It is located at 1048 Bloomingdale Ave. in Valrico. Homes by WestBay introduces La Collina Estates, a community of low maintenance and executive single-family homes located at the heart of Brandon. Tampa Bay’s favorite homebuilding company just began selling its first release of single-family homes in La Collina located on Lumsden Road, near Lithia Pinecrest Road, in Brandon. Within a few miles from schools, shopping center, restaurants and healthcare facilities, La Collina homes are comfortable, low-maintenance and yet affordable. The homes include one and two-story designs, and upper and lower level owner’s retreats. Low maintenance innovation homes start in mid-$200,000s, Executive manor and estate homes range between 300,000 and $600,000. Besides its ideal location, La Collina amenities and features are endless including a resort-style pool and cabana, a playground, a dog park, open green spaces, natural gas and more. The community also has quick access to I-75 and Tampa International Airport. Call 438-3838. Childhood obesity is a global epidemic so severe that recent reports have suggested that today’s generation of children will be the first in over a century of whom life expectancy falls. Today’s children are the most sedentary generation in the history of our country, spending an average of 7.5 hours a day watching television and using computers, cell phones, or video games. To help battle this serious threat, AirHeads Trampoline Arena is encouraging children and families to stay active with the introduction of an exceptionally affordable new membership model. AirHeads welcomed the summer by substantially increasing value to local residents by offering unlimited jumping f or only $19.95 a month, compared to a regular rate of $19.95 for the day. It’s a plan being offered at all AirHeads locations in Tampa, St. Petersburg/ Clearwater, and Orlando. AirHeads Trampoline Arena’s bounce-intensive workout is ideal for all fitness levels. The low-impact workout lets the joints off easy while engaging muscles and the cardiovascular system. Visit airheadsusa.com. Centermark Air Conditioning is new to town, but not new to air conditioning. Centermark’s owner, George Johnston, is a Brandon native and a Florida licensed professional engineer and mechanical contractor and has been working in the air conditioning and refrigeration industry in central Florida since 1997. Centermark provides total system design and installation, and maintenance and repair services for all makes, brands, and types of air conditioners. Centermark is on call 24 hours a day seven days a week and provides, in most cases, same day service in Hillsborough, Polk and Manatee County. It is located at 1426 Hobbs St. in Tampa. Visit Faceboook at Centermark Air Conditioning or call 689-0111. Join Inspired Living for its monthly caregiver support group facilitated by Katie Colwell Williams, director of advocacy services at Aging Care Advocates on Monday, August 10 at 10 a.m. Inspired Living at Sun City Center is committed to offering the education, information and guidance families need as their loved ones travel on their journey. Light refreshments will be served. Call to RSVP or schedule a tour at 699-3471. Visit inspiredlivingsuncitycenter.com. Inspired Living is located at 1320 33rd St. SE, Sun City Center. Total Care Pharmacy of Bloomingdale, located at 519C E. Bloomingdale Ave. in Brandon, kicks off back to school during August with its Healthy Kids Free Chewable Multivitamin Program for children 4 and older. Pharmacist Martin Northrop believes “that nutrition starts off with healthy meals throughout the day as well as a vitamin supplement. Kids need proper nutrition to start the day to better participate in school and and at play.” Our program will provide a monthly vitamin supplement free to every kid in the program. Stop by the pharmacy today to enroll. Supply is limited. Call 689-2273.